Nothing to report this week, but I am hoping to catch up on a lot of new, Oscar-worthy releases after Thanksgiving. All is Bright (anti-recommended): There isn’t much merit to this depressing “comedy,” the story of a man recently released from prison who sells Christmas trees with his friend to try to make a living. Paul Giammati and Paul Rudd are both great actors, but this is far from their best work. 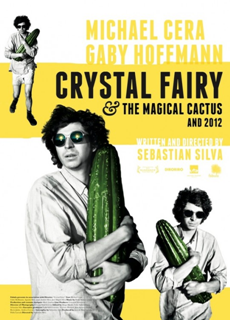 Crystal Fairy (recommended): This bizarre comedy from the Sundance Film Festival is half road trip half drug trip, as Gaby Hoffman’s peculiar Crystal Fairy tags along with Michael Cera’s Jamie and his friends on their journey through Chile in search of a hallucinogenic cactus. While it has some trouble staying grounded, it’s intoxicating the rest of the time. The American (recommended): This sleek 2010 thriller starring George Clooney was one of the most underrated films of its year, an involving portrait of a man cut off from society and embedded so deeply in his secretive mission and life. Clooney is strong in a quiet but powerful lead performance. 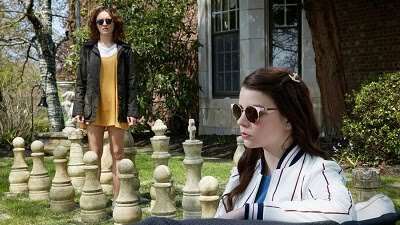 The Joneses (recommended): This 2010 drama presents a fabricated family whose sole purpose is to sell products by living them, and it’s a fascinating and fun concept executed very well. David Duchovny and Demi Moore are great as Mr. and Mrs. Jones, and the whole cast is on in this deceptively dark and mysterious movie.